What's Up Cupcake? : How cute is this kitty?! The Sew Weekly is hosting a giveaway for 30 days of pincushions during the month of April. 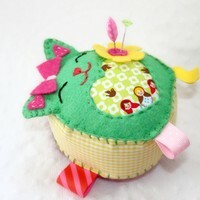 Today's giveaway is a super cute Lucky Cat Pincushion. Seriously - how adorable is this? To enter for today's giveaway, I'm linking back to the No Sew Hat Pincushion Tutorial. 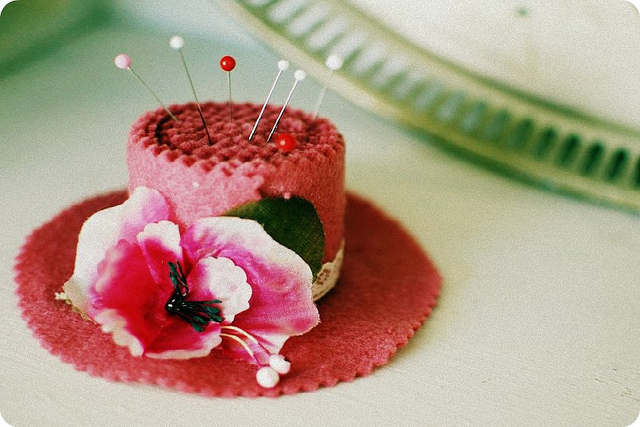 The link teaches you how to make your own hat shaped pincushion. The tutorial looks so easy, and if you're a hoarder like me (well, just a craft hoarder... I mean, doesn't everyone have felt lying around their house? ), then you're pretty much ready to make this easy pincushion!